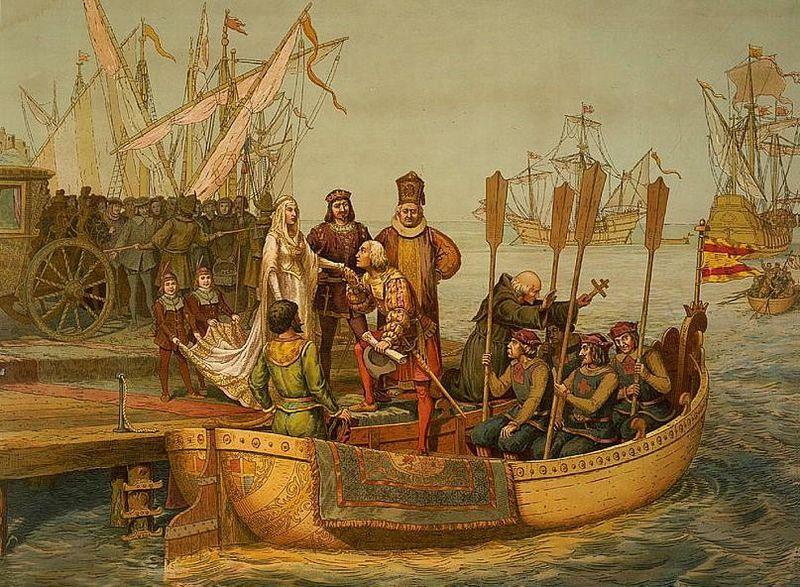 Columbus Day has suffered an unprecedented diminution in importance in recent years, at least in the eyes of the arbitors of modern American culture. Their guiding principal, invented by both Trotsky and the Cultural Marxists at approximately the same time, is best summed up by the late, unlamented Susan Sontag’s famous quote, “The White race is the cancer of human history.” Who wants to celebrate cancer? Consequently, Columbus Day has been transformed from a holiday into an occasion for weeping, wailing, rending of garments and gnashing of teeth by the Left. Consider, if you will, the Western Hemisphere when Columbus discovered it in 1492. The entire continent is estimated to have sustained only 200,000 people. It was a huge undeveloped wildlife preserve; its population stuck for the most part in the New Stone Age. And despite what the Left would have you believe, it was not populated by peace-loving early environmentalists. Where Whites have gone and remained in control, civilization and prosperity have flourished, not only in North America, but all over the world. The only time any nations in sub-Saharan Africa have flourished by modern standards was under White Rule. Rhodesia, once called “the breadbasket of Africa,” became Zimbabwe, the basket case of Africa, when Whites were guilt-tripped into turning over the reins of government to Blacks, the indigenous population of the region. Ditto for South Africa. The primary beneficiaries of White rule are the non-Whites that live in White dominated counties. Blacks in America, for instance, whipped into an inconsolable frenzy by the Left regarding their imagined mistreatment by Whites, are the only oppressed people in the world who consider themselves impoverished but routinely own and use cars, cell phones, computers, iPads, flat-screen TVs, washing machines, clothes dryers and dishwashers, and live in centrally air-conditioned homes with yards, driveways and carports. They are also provided enough free food by the government that they suffer, when left to their own devices, from morbid obesity. Places in America that resemble the Third World (Detroit, East St. Louis, Oakland, ect.) almost always have a predominantly non-White population coupled with non-White political leadership. The most fortunate day in the ancestral history of any American, regardless of race, color or creed, is the day when one of their ancestors boarded a conveyance to America. This is true whether the conveyance was a luxury ocean liner, a jet airplane, or a leaky slave ship. And the reason America still attracts immigrants from all over the world is because America is a White nation, and consequently enjoys a level of prosperity only dreamed of in most of the world. Whites are the key to that prosperity. If the non-Whites of the world knew what was good for them they would nurture and protect Whites like a hothouse flower! America, however, is at a crossroads. Whites, rather than a hothouse flower, are actually an endangered species (or more correctly, a subspecies) in today’s world, with their numbers and percentage of population diminishing each year. Like many another endangered species, we stop reproducing when our nesting grounds are disturbed. In America, this disruption occurred when public schools were racially integrated undemocratically, by court decree, beginning with the infamous Brown v. Topeka Board of Education Supreme Court decision in 1954. Rather than throw their children into the veritable Black hole of Calcutta that many public schools have become due to Brown and its progeny, many Whites, simply limited the number of children they had to the number of children they could afford to send to private school. Don’t ever imagine that this result was a coincidence. That’s why we here at TPC constantly remind our audience that “liberalism is the modern face of evil,” and this includes every aspect and project of modern liberalism – including the supposedly sacrosanct Civil Rights Movement. Today, more than ever, we all need to ponder the significance of Columbus and Columbus Day, and impress our friends, neighbors, and children of its importance. Columbus Day truly should rank as one of the most important and celebrated holidays of the year. Men like Columbus didn’t endure sufferings, privations, danger and even death so we could, like Esau, trade our inheritance for a mess of liberal, multicultural pottage. We invite everyone in our audience to make Columbus Day the true occasion for celebration and remembrance that it is! Originally posted at The Political Cesspool.